My favorite Firefox feature is tabbed browsing which allows me to have multiple web sites open simultaneously in a single window. In the figure above I have three web site open, CNN, Yahoo and my own Millennium Technology Consulting LLC web site. Click on a tab to show that web site. 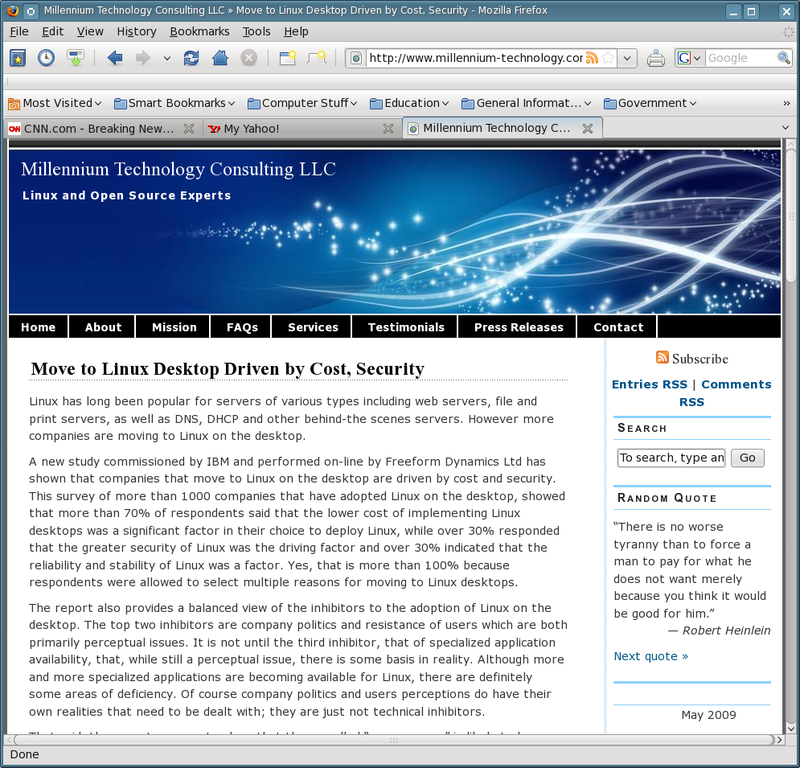 Figure 1: Tabbed Browsing in Firefox allows you to have multiple web sites open simultaneously in a single window. You can double click the open area in the tab bar to open a new tab, or you can right click an existing tab and choose “New Tab” from the pop-up menu. Starting with Firefox 3.0 you there is a Plus sign (+) to the right of the current rightmost tab; you can click on that to open a new tab. Any link on the current page can also be opened in a new tab. Simply right click and choose the “Open link in new tab” option from the context menu. Links that are configured to open in a new window can be opened in a new tab this way, or you can configure Firefox to open links that are intended to open in a new window to open in a new tab instead. See the section on configuring Firefox for details (when I have time to write it). Each tab has an X on the right side. To close a tab you can just click on the X. You can also right click on the tab and choose the Close Tab option from the context menu. You do not have to bring any tab to the foreground in order to close it.